Let’s imagine a heroic researcher, producing the best evidence and fearlessly ‘speaking truth to power’. Then, let’s place this person in four scenarios, each of which combines a discussion of evidence, policy, and politics in different ways. 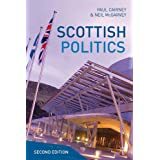 Imagine your hero presents to HM Treasury an evidence-based report concluding that a unitary UK state would be far more efficient than a union state guaranteeing Scottish devolution. The evidence is top quality and the reasoning is sound, but the research question is ridiculous. The result of political deliberation and electoral choice suggests that your hero is asking a research question that does not deserve to be funded in the current political climate. Your hero is a clown. Imagine your hero presents to the Department of Health a report based on the systematic review of multiple randomised control trials. It recommends that you roll out an almost-identical early years or public health intervention across the whole country. We need high ‘fidelity’ to the model to ensure the correct ‘dosage’ and to measure its effect scientifically. The evidence is of the highest quality, but the research question is not quite right. The government has decided to devolve this responsibility to local public bodies and/ or encourage the co-production of public service design by local public bodies, communities, and service users. So, to focus narrowly on fidelity would be to ignore political choices (perhaps backed by different evidence) about how best to govern. If you don’t know the politics involved, you will ask the wrong questions or provide evidence with unclear relevance. Your hero is either a fool, naïve to the dynamics of governance, or a villain willing to ignore governance principles. Imagine two fundamentally different – but equally heroic – professions with their own ideas about evidence. One favours a hierarchy of evidence in which RCTs and their systematic review is at the top, and service user and practitioner feedback is near the bottom. The other rejects this hierarchy completely, identifying the unique, complex relationship between practitioner and service user which requires high discretion to make choices in situations that will differ each time. Trying to resolve a debate between them with reference to ‘the evidence’ makes no sense. This is about a conflict between two heroes with opposing beliefs and preferences that can only be resolved through compromise or political choice. This is, oh I don’t know, Batman v Superman, saved by Wonder Woman. Imagine you want the evidence on hydraulic fracturing for shale oil and gas. We know that ‘the evidence’ follows the question: how much can we extract? How much revenue will it produce? Is it safe, from an engineering point of view? Is it safe, from a public health point of view? What will be its impact on climate change? What proportion of the public supports it? What proportion of the electorate supports it? Who will win and lose from the decision? It would be naïve to think that there is some kind of neutral way to produce an evidence-based analysis of such issues. The commissioning and integration of evidence has to be political. To pretend otherwise is a political strategy. Your hero may be another person’s villain. Now, let’s use these scenarios to produce a 5-step way to ‘make evidence count’. be less dispirited about the outcome. In other words, think about the positive and necessary role of democratic politics before bemoaning post-truth politics and policy-based-evidence-making. Policy is not made in a cycle containing a linear series of separate stages and we won’t ‘make evidence count’ by using it to inform our practices. You might not want to give up the cycle image because it presents a simple account of how you should make policy. It suggests that we elect policymakers then: identify their aims, identify policies to achieve those aims, select a policy measure, ensure that the selection is legitimised by the population or its legislature, identify the necessary resources, implement and then evaluate. Or, policymakers aided by expert policy analysts make and legitimise choices, skilful public servants carry them out, and, policy analysts assess the results using evidence. However, there comes a point when there is too much mess, and the image no longer helps you explain (a) to the public what you are doing, or (b) to providers of evidence how they should engage in political systems. By this point, simple messages from more complicated policy theories may be more useful. Or, we may no longer want a cycle to symbolise a single source of policymaking authority. 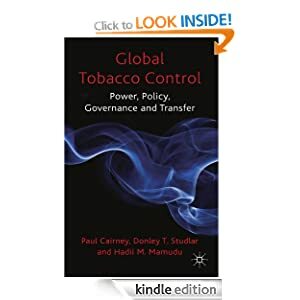 In a multi-level system, with many ‘centres’ possessing their own sources of legitimate authority, a single and simple policy cycle seems too artificial to be useful. People are ‘cognitive misers’ seeking ‘rational’ and ‘irrational’ shortcuts to gather information for action, so you won’t get far if you bombard them with too much evidence. Policymakers already have too much evidence and they seek ways to reduce their cognitive load, relying on: (a) trusted sources of concise evidence relevant to their aims, and (b) their own experience, gut instinct, beliefs, and emotions. The implication of both shortcuts is that we need to tell simple and persuasive stories about the substance and implications of the evidence we present. To say that ‘the evidence does not speak for itself’ may seem trite, but I’ve met too many people who assume naively that it will somehow ‘win the day’. In contrast, civil servants know that the evidence-informed advice they give to ministers needs to relate to the story that government ministers tell to the public. In a complex or multi-level environment, one story to one audience (such as a minister) is not enough. 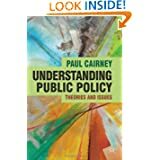 If there are many key sources of policymaking authority – including public bodies with high autonomy, organisations and practitioners with the discretion to deliver services, and service users involved in designing services – there are many stories being told about what we should be doing and why. We may convince one audience and alienate (or fail to inspire) another with the same story. The table helps us think through the tensions between models, built on very different principles of good evidence and governance. In practice, you may want to combine different elements, perhaps while arguing that the loss of consistency is lower than the gain from flexibility. Or, the dynamics of political systems limit such choice or prompt ad hoc and inconsistent choices. I built a lot of this analysis on the experiences of the Scottish Government, which juggles all three models, including a key focus on improvement method in its Early Years Collaborative. However, Kathryn Oliver and I show that the UK government faces the same basic dilemma and addresses it in similar ways. The example freshest in my mind is Sure Start. Its rationale was built on RCT evidence and systematic review. However, its roll-out was built more on local flexibility and service design than insistence on fidelity to a model. More recently, the Troubled Families programme initially set the policy agenda and criteria for inclusion, but increasingly invites local public bodies to select the most appropriate interventions, aided by the Early Intervention Foundation which reviews the evidence but does not insist on one-best-way. Emily St Denny and I explore these issues further in our forthcoming book on prevention policy, an exemplar case study of a field in which it is difficult to know how to ‘make evidence count’. I think we use phrases like ‘impact’ and ‘make evidence count’ to reflect a vague and general worry about a decline in respect for evidence and experts. Certainly, when I go to large conferences of scientists, they usually tell a story about ‘post-truth’ politics. Usually, these stories do not acknowledge the difference between two different explanations for an evidence-policy gap: (a) pathological policymaking and corrupt politicians, versus (b) complex policymaking and politicians having to make choices despite uncertainty. To produce evidence with ‘impact’, and know how to ‘make evidence count’, we need to understand the policy process and the demand for evidence within it. *Background. This is a post for my talk at the Government Economic Service and Government Social Research Service Annual Training Conference (15th September 2017). This year’s theme is ‘Impact and Future-Proofing: Making Evidence Count’. My brief is to discuss evidence use in the Scottish Government, but it faces the same basic question as the UK Government: how do you combine principles of evidence quality and governance principles? In other words, if you were in a position to design an (a) evidence-gathering system and (b) a political system, you’d soon find major points of tension between them. Resolving those tensions involves political choice, not more evidence. Of course, you are not in a position to design both systems, so the more complicated question is: how do you satisfy principles of evidence and governance in a complex policy process, often driven by policymaker psychology, over which you have little control? Here are 7 different ‘answers’.